Our wide expertise in the field allows us to provide efficient and quick packing and moving services of all kinds of goods and cargo to any part of the world as required by our clients. Our experienced team members are adept in packaging techniques of different products, depending on their fragility and make sure that no damage is caused to them under any circumstances. Moreover, our well established relations with transportation agents helps us in timely delivering the goods to the required destination, be it domestic or international. In order to fulfill the changing demands of clients, we have been engaged in providing International Sea Freight Forwarding Services. We provide cargo shipment all around the world. 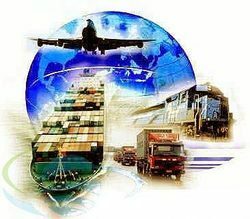 We also provide customers scheduled air / land / sea Shipping Services for any specific size or weight of shipment as demanded by the clients. 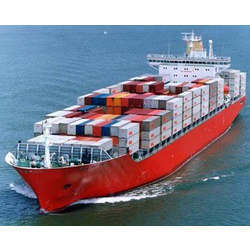 No matter where the shipment is going worldwide, clients can rely on us for making proper and safe arrangements for it. We are among the illustrious names in the industry, offering International Cargo Services to our revered customers. With our vast network, we can tailor cost effective solutions for the transportation of a wide variety of goods using various mediums like air and water transportation. Our professionals are adept at understanding the varied requirements of the customers and provide solutions accordingly. We provide Sea Freight Service that we provide to the organizations that deal international or multi-national export and import. We can arrange Sea Freight Forwarding for national as well as international destinations. Looking for International Freight Forwarding ?